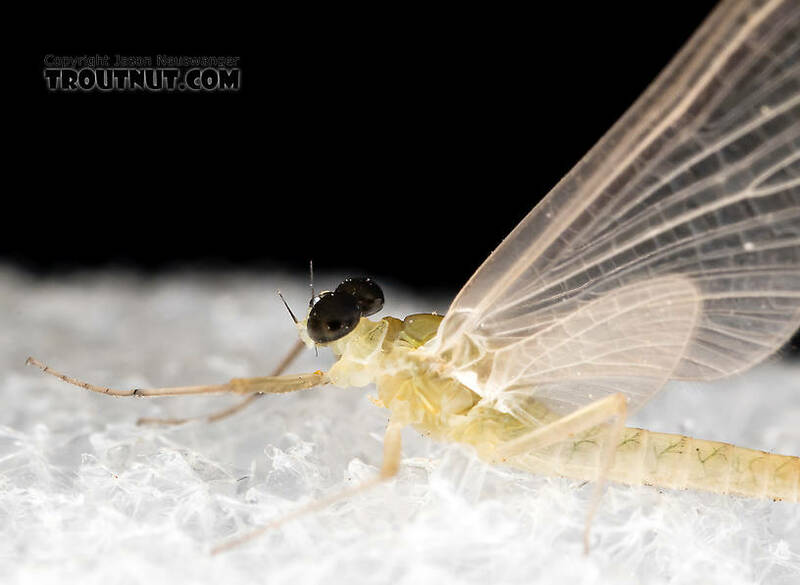 I hoped this dun would molt into a spinner for a positive ID, but it didn't. 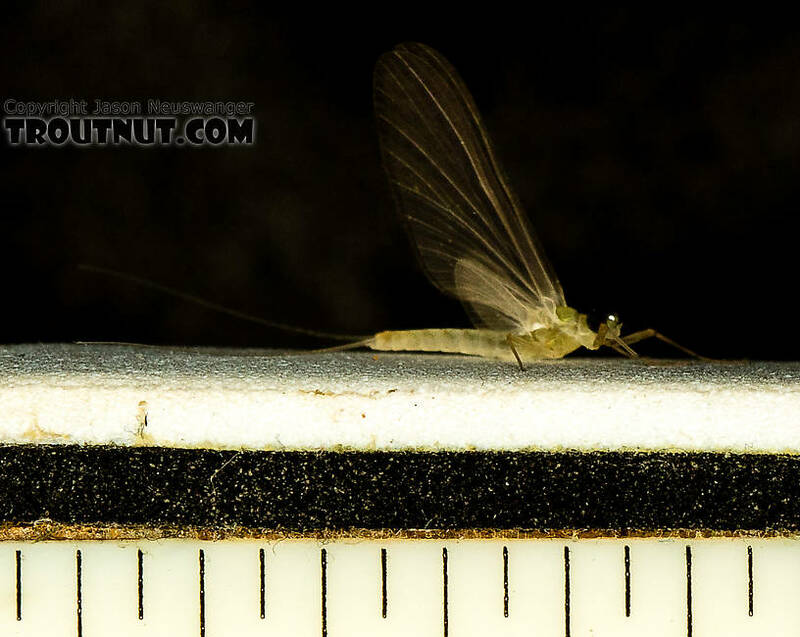 My best guess is Epeorus dulciana, but that's only because that's the smallest western Epeorus species, and this specimen is smaller than any of the others, with a body length of 5.3 mm (although it would be longer as a spinner) and a wing length of 8.5 mm. 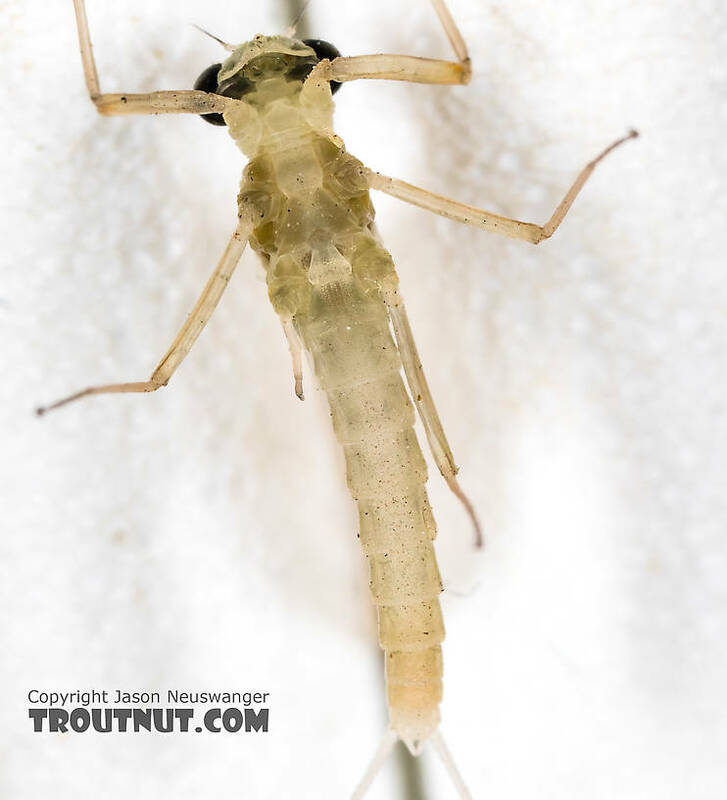 See the caption for the specimen -- I'm thinking Epeorus dulciana based on size and geographic distribution alone, but I can't find any information about how their duns look. 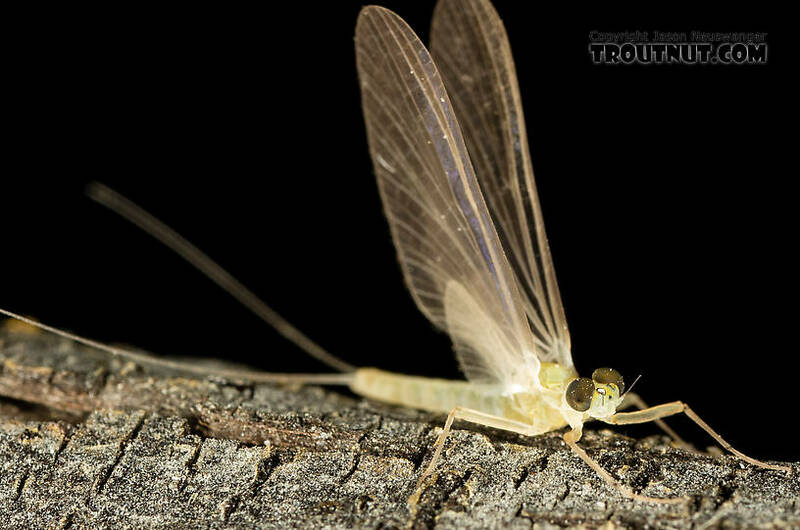 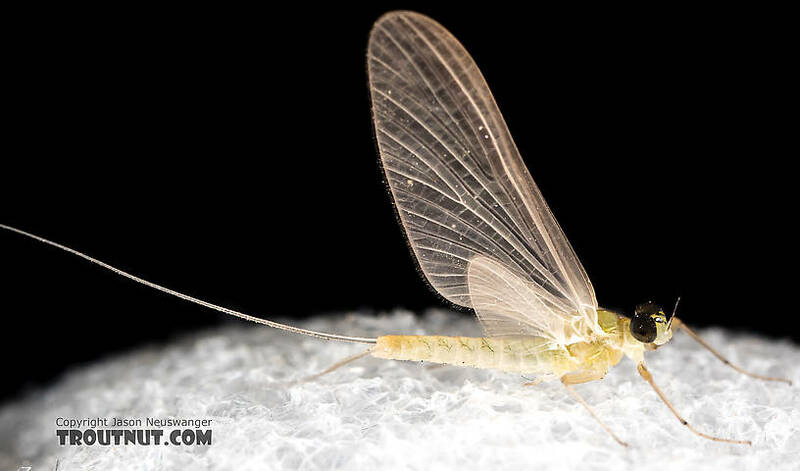 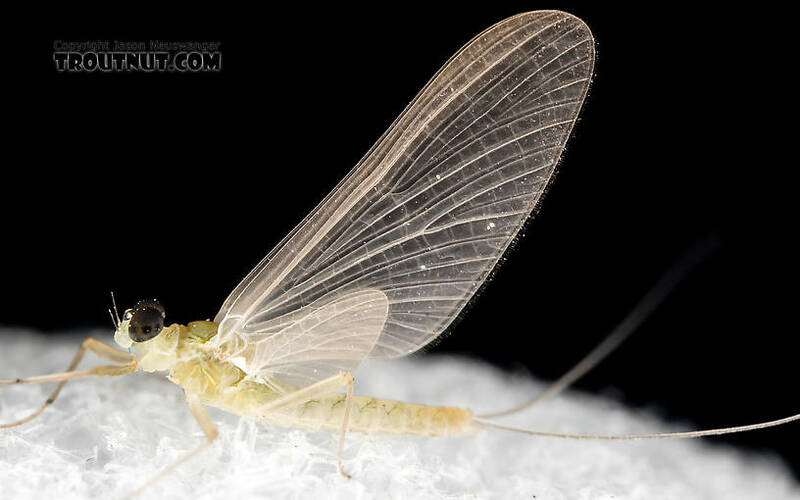 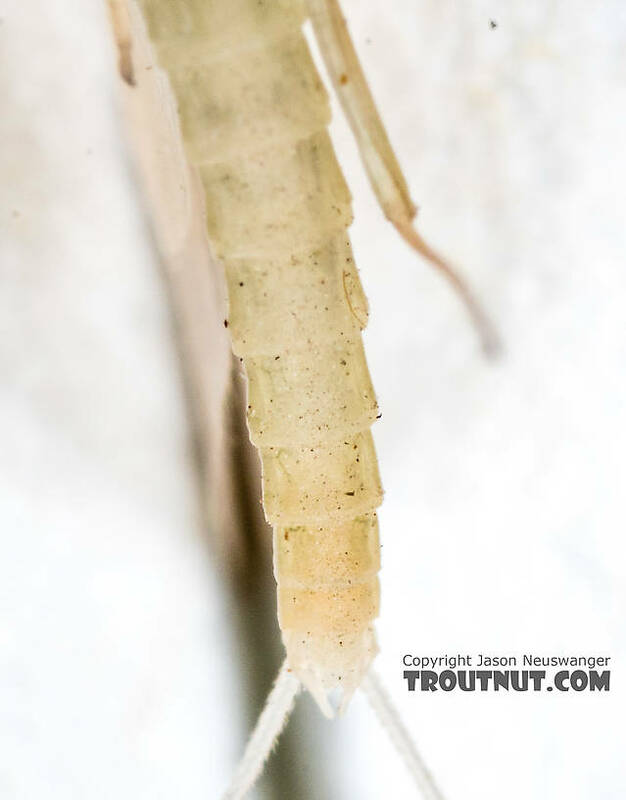 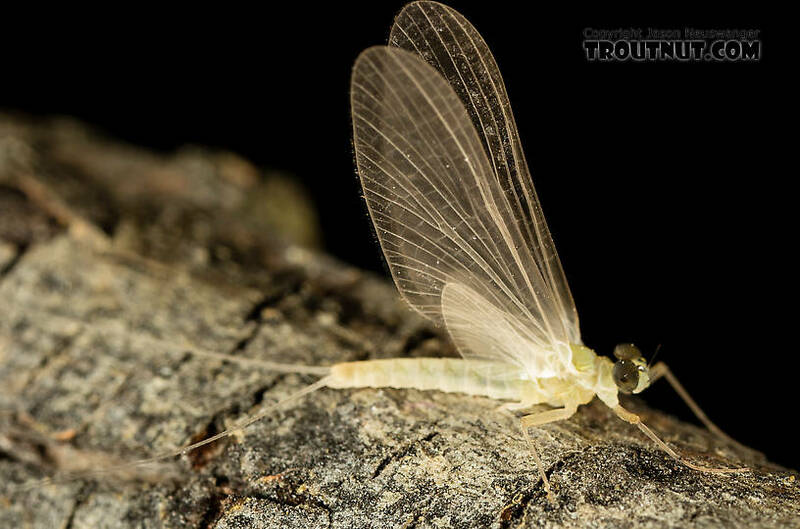 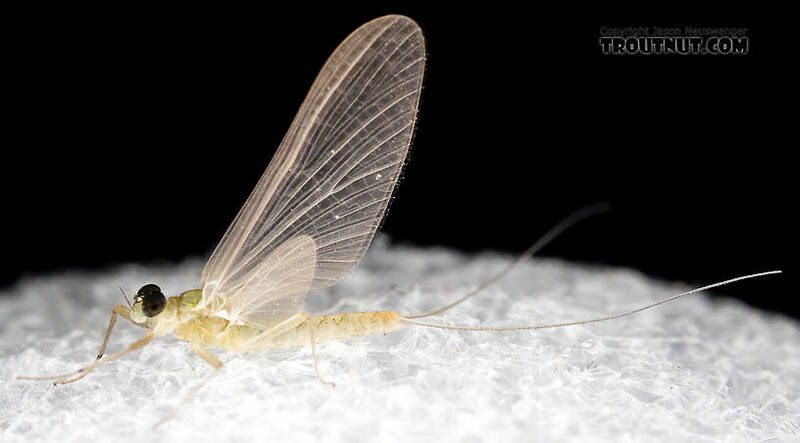 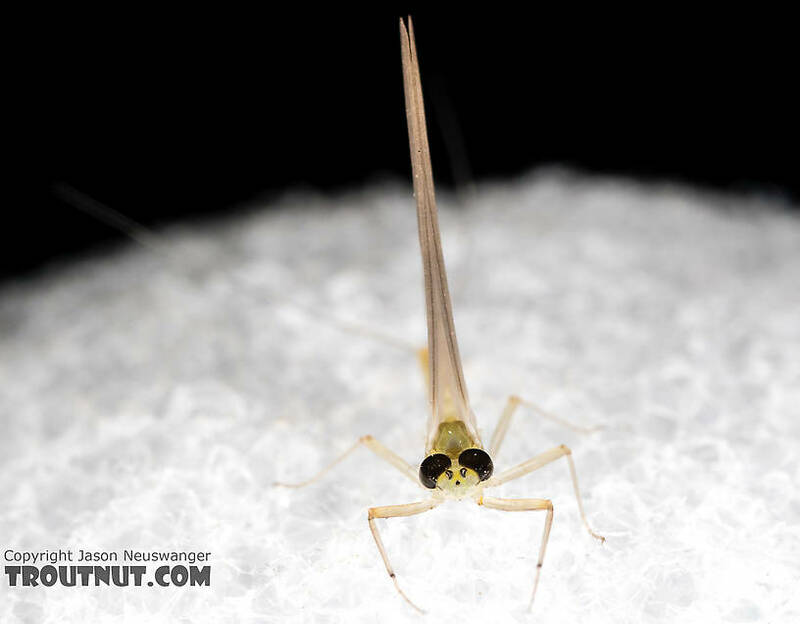 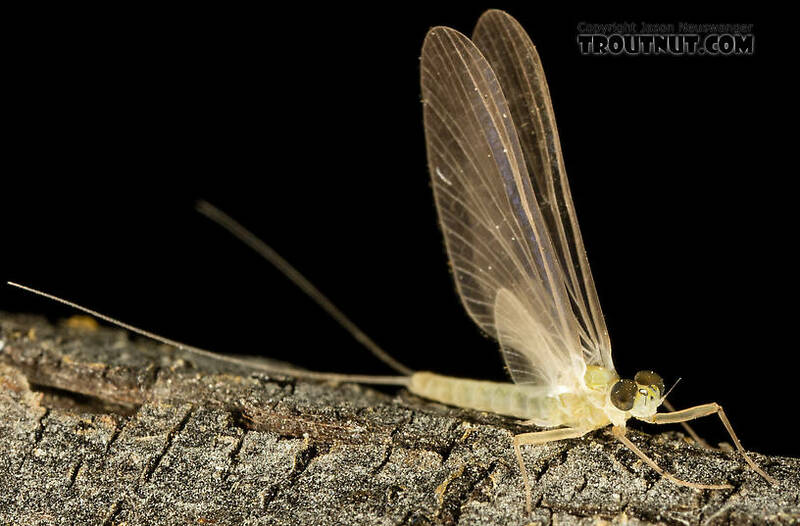 Pretty mayfly, though!